Vacations and Timeshare Rentals, the Better-than-a-Hotel way to relax and have fun. Timeshare rentals make your vacation more comfortable, and can be surprisingly cost-effective. I'm not a faceless corporation. I'm a real person who rents out my Worldmark by Wyndham timeshare to real people like you. Timeshare rentals are better than hotels. Why? Imagine a place that has the amenities of a hotel...plus the amenities of a condo. That's a timeshare. Hotel rooms tend to be cramped. Hotel rooms offer practically no privacy. And unless you know how to cook a meal using nothing but the hotel room's tiny coffee maker, you're kind of forced to eat out for every single meal. That gets pretty expensive. And that's why I prefer the real kitchens that you'll find in my timeshare rentals. 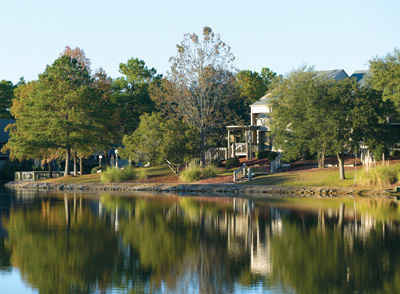 That's why I love my Worldmark by Wyndham timeshare. Staying at a timeshare gives me rooooom to breathe! The rooms are always well decorated. They don't have that "hotel look." But my favorite thing about my timeshare is the kitchen. I've stayed in hotels that say that they have a kitchen, but it turns out it's actually a "kitchenette." Kitchenettes make me feel like a poor college student again with the little microfridge and the tiny stovetop and the sink that's so small that you need to devise a strategy in order to figure out how to wash the dishes. The kitchens in my timeshare rental units (I have access to over 60 locations around the United States, plus Canada, Mexico, Australia, and Fiji) are real kitchens, with full-size appliances. There are cabinets. With dishes in them. Silverware (the nice kind) in the drawers. And condiments in the fridge. And there's even counterspace so that you have room to do the actual preparing-the-food part of cooking. With over 60 locations, you're sure to find something right for you. 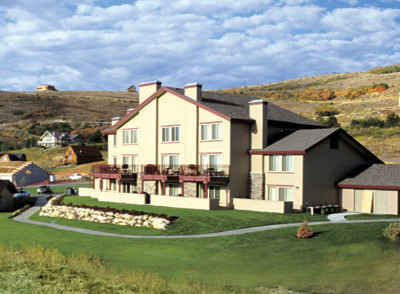 Click here to see my list of all timeshares available for rent. Looking for timeshare rentals? I have access to over 60 resort locations across the US, plus international timeshare rentals in Canada, Mexico, Australia, New Zealand, and Fiji. Rent a timeshare? What? How does that work? Where can we stay? How much is it? How many people can we fit into one room? How does payment work? How does it compare to a hotel room? Oh, so many questions about renting a timeshare, thank goodness for this page of frequently asked questions! Yes, there's Disneyland, but read on to discover all of the things you can do during your Anaheim Vacation. Hot air baloon ride? Ferry ride? Museums? Golf? YES PLEASE. You're taking a Disneyland vacation?! OMG! So much fun! ...and so many questions! When do you go? How do you avoid lines? Where should you eat? Read on! Get your hands on The Unofficial Guide to Disneyland, the ultimate, regularly-updated, non-biased guide to Disneyland! A Disney World Vacation is a visceral, emotional, exhausting, exhilerating supercalifragilisticexpialidocious experience. And unlike other visceral, emotional, exhausting, exhilerating supercalifragilisticexpialidocious experiences you've probably experienced, this one requires a large amount of planning. We're here to help with that. Parasailing, kayaking, waverunning, dolphin watching, biking, golfing, oh my goodness, there are SO MANY things to do on your Destin vacation! Take the insider Las Vegas vacation and see a side of Las Vegas that most tourist don't see. Here are two itineraries that do not include gambling, the shows, or the buffets. Discover the latest from Vacations & Timeshare Rentals with the Timeshare Rentals Blog...including the latest been-there, done-that wisdom and insight of this site's awesome visitors who I love with all my heart and soul. How will you decide to spend your San Francisco vacation? Roaming the city? Driving off to wine country? or BOTH! The food! The art! The festivals! Everybody loves a Santa Fe vacation! Volcanoes! Beaches! Come take yourself a Big Island Vacation! If I were your Fairy Godmother, I'd wish you into your much-needed Maui vacation RIGHT NOW! Bear Lake, Bear Lake, I want to relaxe by your waters blue. Bear Lake, Bear Lake, I want to take a Bear Lake Vacation with you. Yes, Yellowstone is the very most beautiful place in the entire United States of America. You need to take a Yellowstone vacation so that, for the rest of your life, whenever something crappy happens to you, at least you'll be able to look back on your Yellowstone memories and realize that life isn't so bad after all. With so many options in Whistler - Spring, Summer, Fall, and Winter - you just might need to take multiple Whistler Vacations. I get it -- you need to get away from your crazy city life. 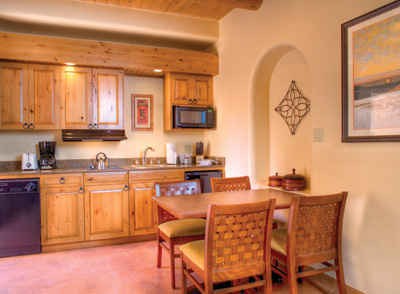 So rent my Arizona vacation rental and come relax on an Arizona vacation in Oro Valley. Canada vacations are always full of splendor and delight. This year, take yourself on an unforgetable Victoria vacation and discover what this British Columbia gem has to offer. Enjoy your Birch Bay vacation -- Learn more about taking a Washington Vacation in Birch Bay (just a two-hour drive from Seattle!). Everything's bigger in Texas - including your upcoming New Braunfels Vacation! Roll your big ball of stress on over to New Braunfels for some good ol' rest and relaxation! Eat your way through New Orleans with this how-to guide, perfect for your upcoming New Orleans vacation! Las Vegas vacations are for...EATING! Breakfast, lunch, or dinner, you'll find the best Las Vegas restaurants right here. Are you kidding me? You needed a Fiji vacation YESTERDAY! What are you waiting for? You need the sunshine - it's good for you! Think of all the Vitamin D you'll make, and how happy you'll feel, on a Daytona Beach vacation! You're looking for an Oregon beach vacation rental...but which one do you choose? Yes, the Oregon coast is pretty, but you need to eat! Here's a sampler of the best Oregon Coast restaurants for you to savor.